Game-based learning (GBL) is the future of education. E-learning gamification revenue could reach $2,309 million in 2017 , and more games developers are creating educational games for multiple platforms. Research shows that games boost retention, increase engagement and promote academic success. If you are looking for new ways to teach your students, here’s why you should incorporate GBL into your online courses. Why is GBL So Effective? For years, books have dominated the classroom. Now, games are teaching students complicated concepts and theories. It’s not just children who benefit from games. Adult students can also learn subjects in this innovative way. Non-traditional learners — students with children, military students, online learners, etc. — can mix academic theory and practical skills with the fun of playing a game. What are the Benefits of GBL? Various studies have examined the benefits of GBL. First, GBL increases motivation. Seventy-nine percent of corporate learners and university students said their motivation and productiveness would improve if learning environments were similar to games . GBL also boosts knowledge. Research shows that students score 14 percent higher in skills-based knowledge assessments after a gamified e-learning experience. They also show a nine percent increase in knowledge retention. 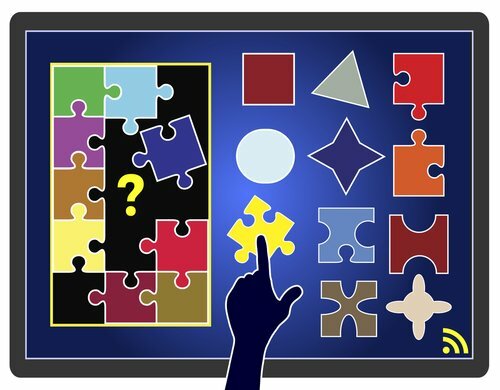 Gamification helps students learn from their mistakes, too. The majority of learning-based games provide users with instant feedback and track their results. This presents you with multiple benefits. No longer will you need to teach students certain concepts — gamification does all the hard work. You can also save money on labor costs. Then there is engagement. Studies show a correlation between gamification and engagement in the classroom. The best games teach important topics but keep students interested at all times. Game elements like interactivity, point scores and rewards engage learners more than some conventional teaching methods. What are the Best Games Elements to Use? Eighty-nine percent of people said that games with a point system boost engagement, while 82 percent favor games with explorable content and multiple difficulty levels. Moreover, 62 percent of people believe leaderboards and the opportunity to compete with other gamers would increase their motivation . If you want to incorporate GBL into your online course, there are a number of elements that you can include your game. Twenty-four percent of people prefer activity feeds in games, while 12 percent like virtual gifts . Three percent of people want avatars in games and two percent enjoy playing with virtual currencies. GBL is changing the way students learn online. Use this teaching method if you want to increase student retention, engagement and motivation. You can also include elements like explorable content and different levels into your games for even more student success.